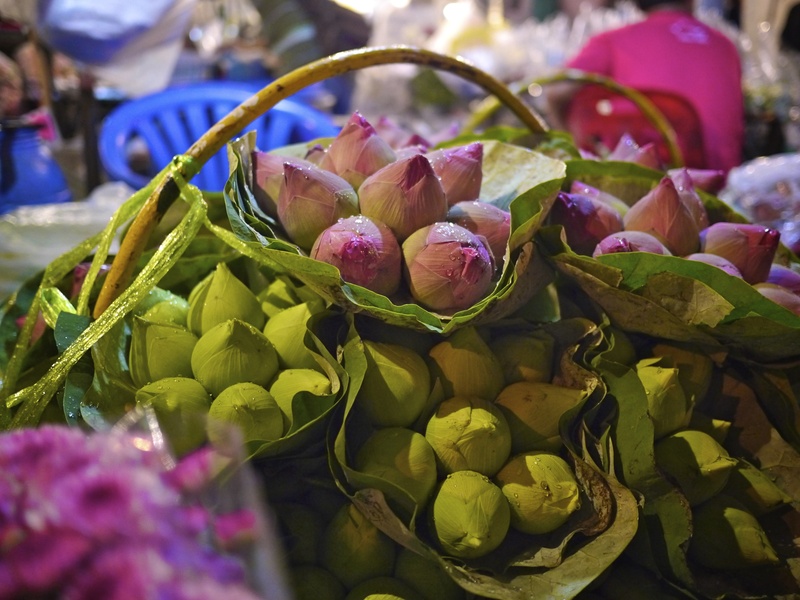 A few favorites from Bangkok, Chiang Mai and Pai; see PHOTOS for more. 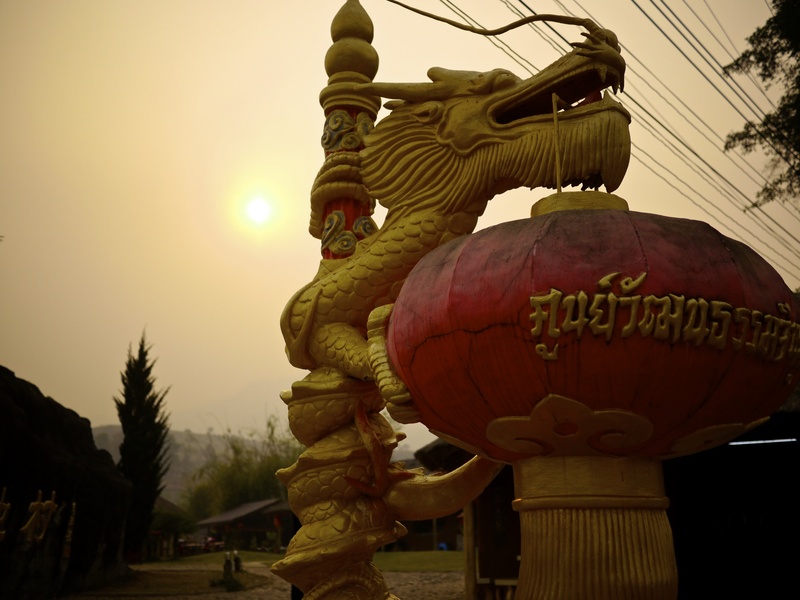 We head out of Laos today… stayed tuned for many more photos and videos to come! 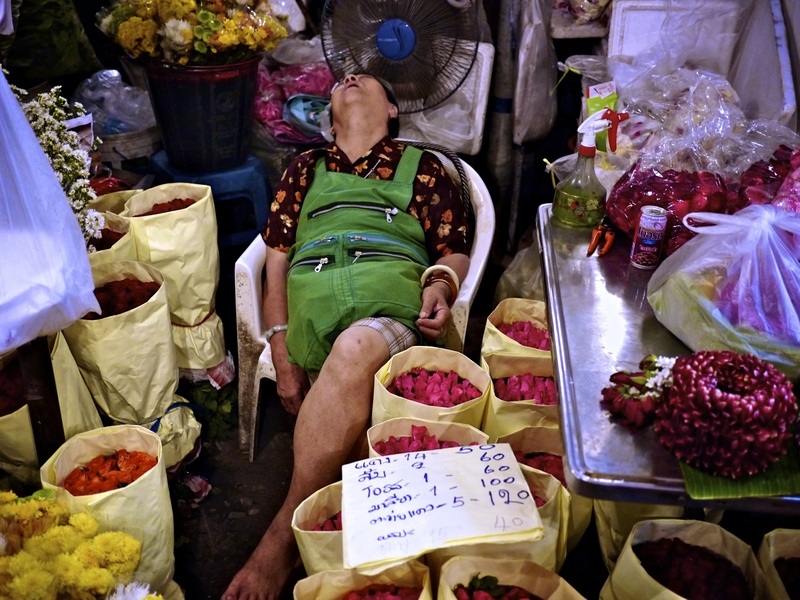 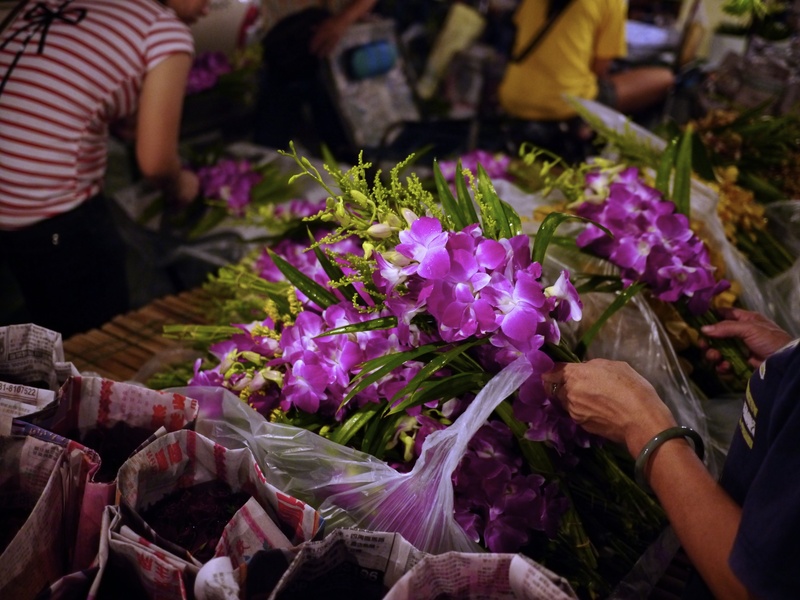 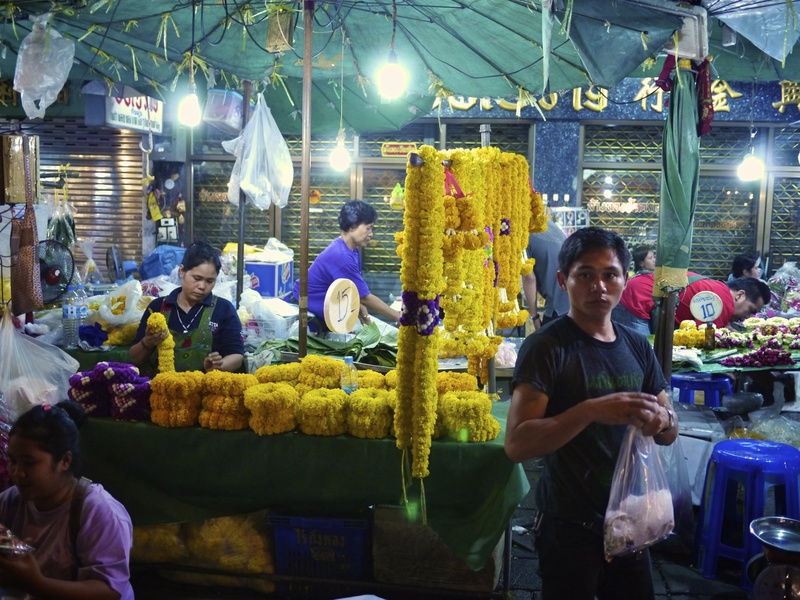 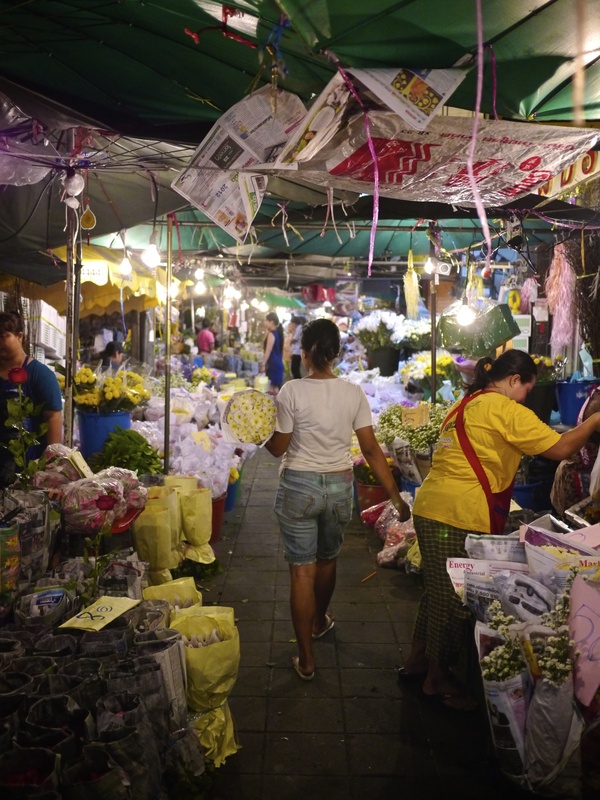 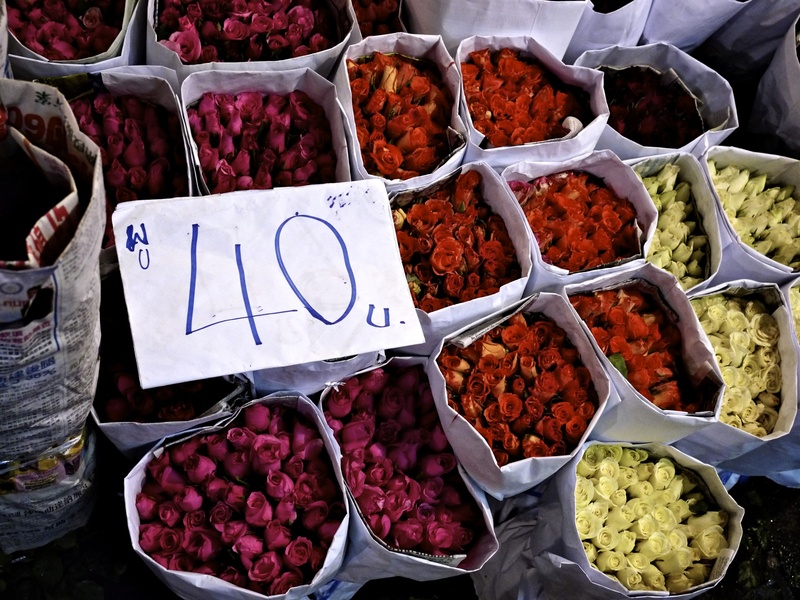 One of my favorite things to do while in Bangkok is to check out the Flower Market at Delaat Pak Klong. 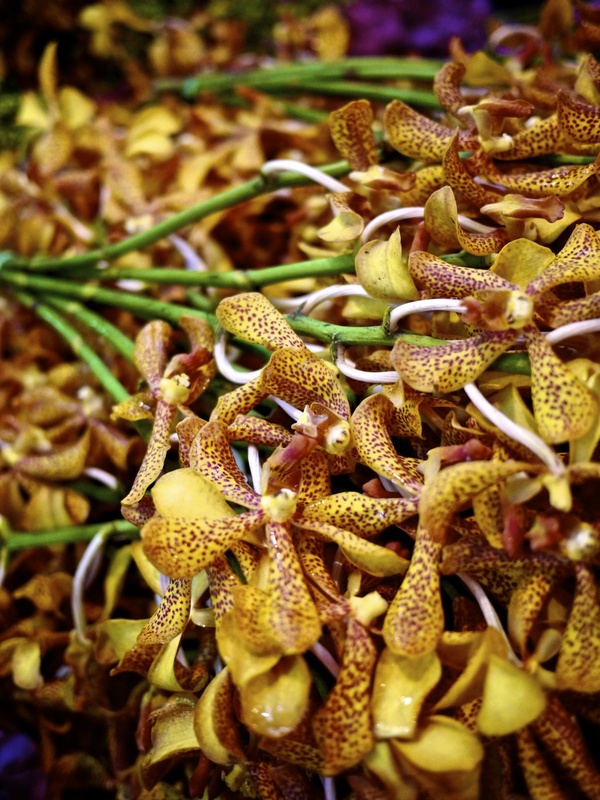 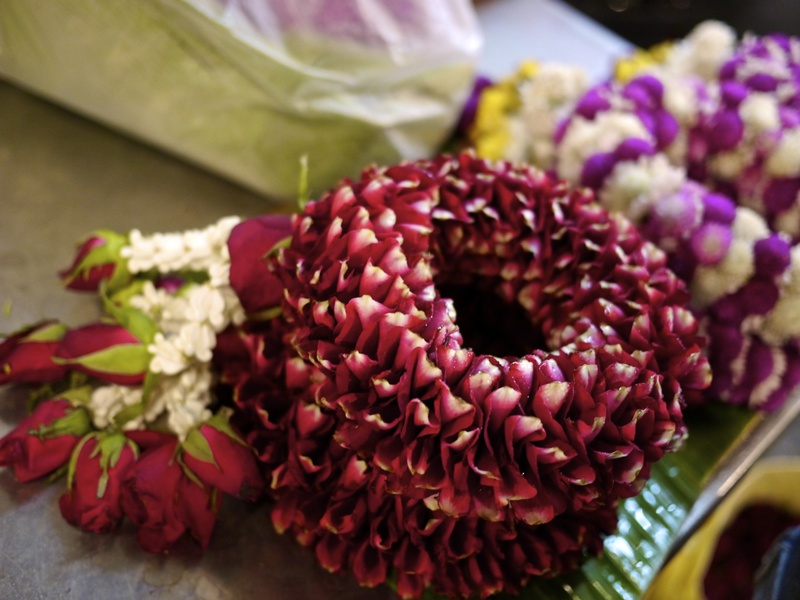 It is open 24 hours a day but the night time is the best time to visit as that is when the deliveries of lotuses, roses, orchids, chrysanthemums, and many bright varieties arrive freshly cut from the flower farms outside the city. 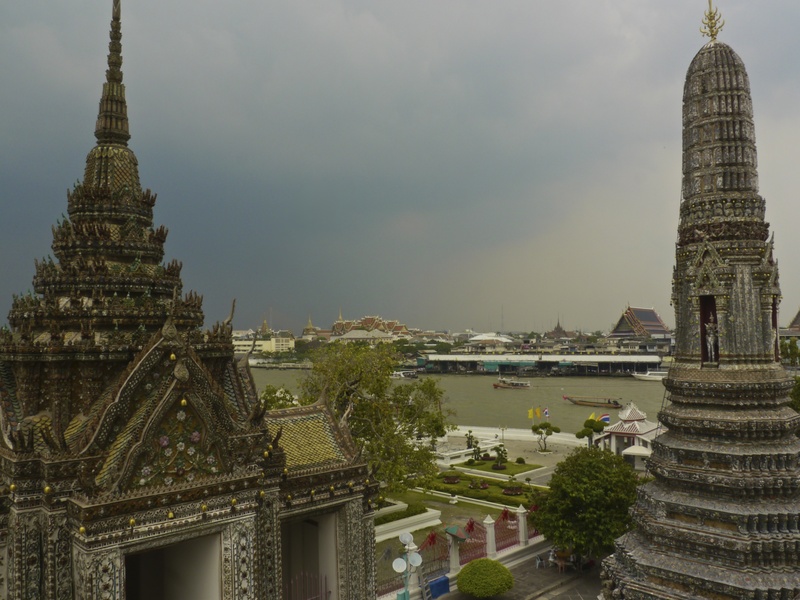 It is surprisingly off the tourist map and every time I have been there, I have only seen a handful of other farang (foreigners) there. 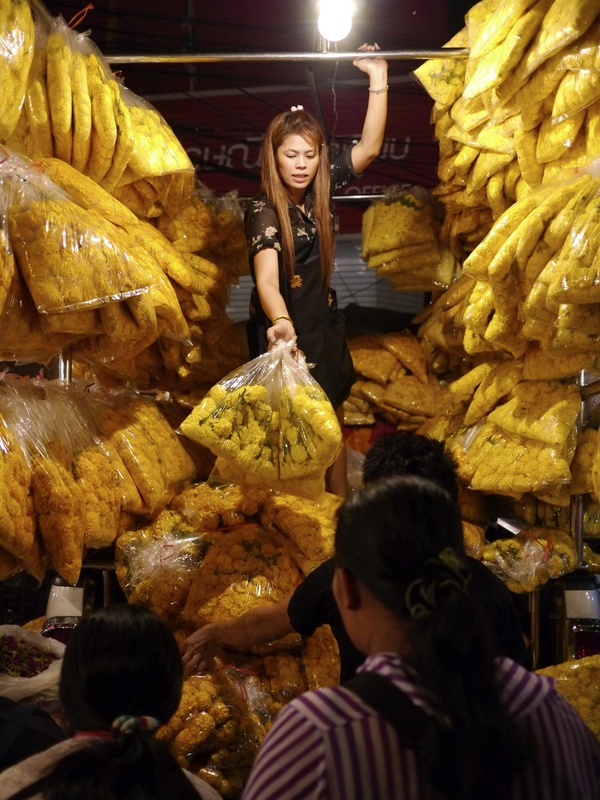 For photographers it is a feast of colors and is very interesting watching the people bartering. 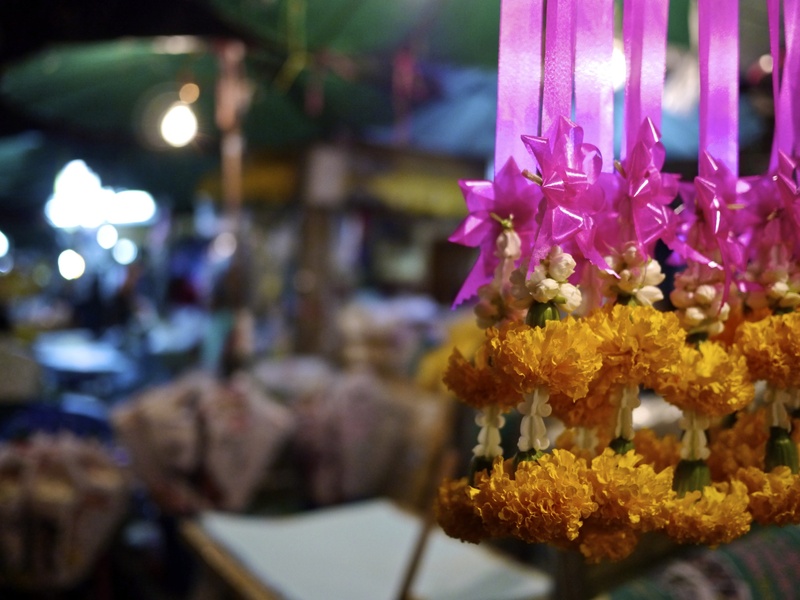 Most of the flowers are destined as offerings at the many Wats (Buddhist temples) in the city, and garlands for wrapping around the hands and heads of Buddhas are handmade by women in almost every stall. 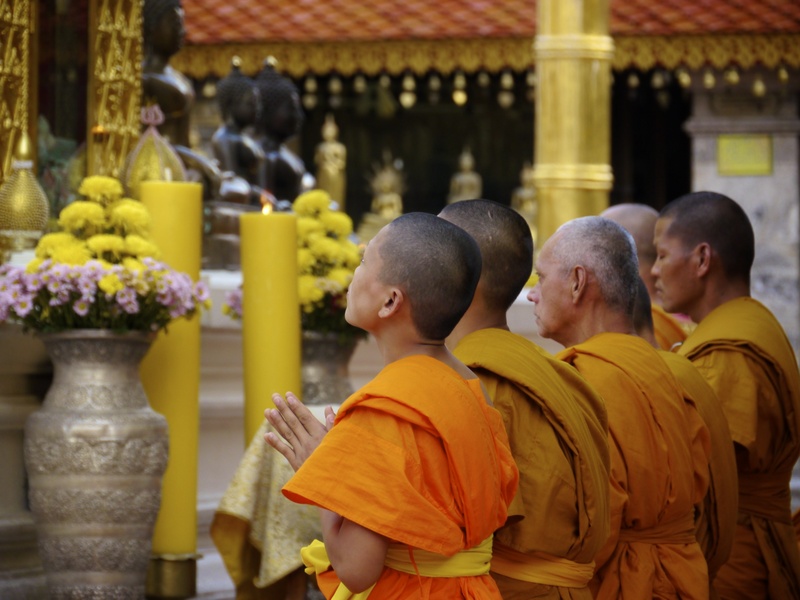 Our Project from Thailand Needs Your Help!